SAN VIGILIO DI MAREBBE, Italy — Diaper bags and baby backpacks are in just as much demand as skis, boots and poles on the U.S. Alpine team this season. So is a good night’s sleep. 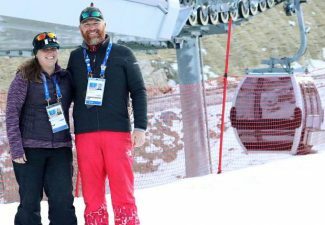 Four members of the men’s squad — two skiers and two coaches — welcomed newborns into their families in the offseason. Add in Andrew Weibrecht’s daughter, Adalina, who was born two years ago, and it often makes the team hotel resemble a day care center. “The team life is shifting gears,” said Steven Nyman, the captain of the downhill squad. Nyman’s girlfriend, Charlotte Moats, gave birth to the couple’s first daughter, Nell, in June. Later that month, Ted Ligety’s wife, Mia, had a son named Jax. Giacomo, the third child of head coach Sasha Rearick, and Trudi Anne, the daughter of tech coach Forest Carer, were also born recently. All four babies were born within about a month. Now, it’s like team parenting. 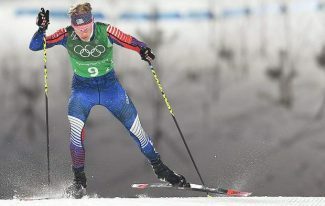 “That makes it easier actually in a sense that everyone is going through the same thing and you can share the stories and talk about how each other’s babies are sleeping and all that stuff,” Ligety said. The biggest challenge for skiers bringing their families along to World Cup races in Europe is keeping them fresh amid all of the crying and mid-night feedings. “It’s tough,” Rearick said. “You do your work, you do your job and you come home when you want to support your wife, you want to take care of your child, but it’s also the time where you have to really rest. 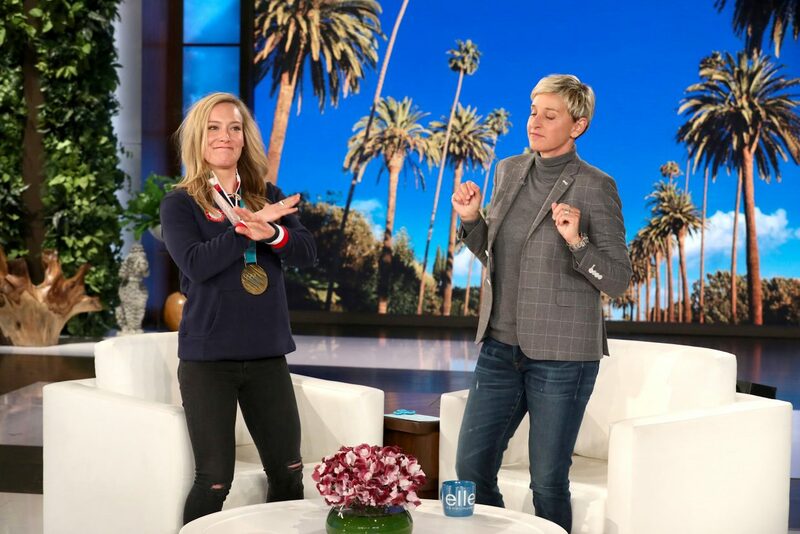 “In order to compete with the best you have to be super fresh in the mind and physically fit and sleepness nights or even just a few hours in the afternoon where you would just lay low, it’s easy to get distracted,” the coach added. At races, separate rooms are recommended for athletes and their families. 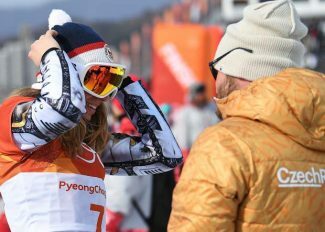 Family members also will not be able to stay with the team during next month’s Pyeongchang Olympics. But the advantages of taking family members on the road far outweigh the disadvantages — especially for a team that competes so far from home for most of the season. Nyman’s daughter played a significant role during his recovery from left knee surgery entering this season. Not that there haven’t been complications. Like when Nyman’s girlfriend and 6-month-old daughter had a connection canceled in Amsterdam following a trans-Atlantic flight and had to take a train to Munich instead. 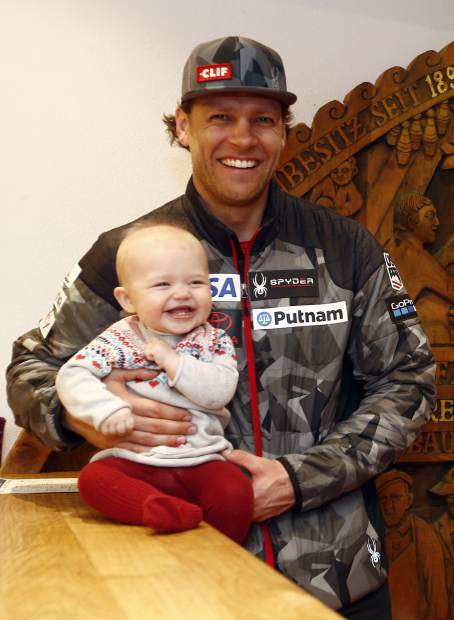 Nyman and Moats were planning on naming their daughter Sella after the Sella Pass in Val Gardena, where Nyman has won three World Cup downhills. But when they were told that Sella translates from the Italian to “saddle” they had second thoughts. “We didn’t name her until a month after she was born because we couldn’t figure out the name,” Nyman said. Unable to come up with another name, however, the couple went to the county office in Salt Lake City and named the baby Sella. Then they had second thoughts and went back an hour and a half later and changed the name to Nell. “We should have taken a picture of it but we never did,” Nyman said of the original birth certificate. 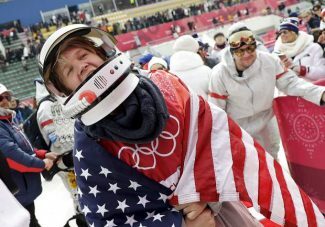 At races, mothers observe the competition from the finish area with their babies in backpacks clothed in thick snowsuits — with plenty of equipment in tow. Hospitality tents can quickly turn into changing stations. “Three wins deserves a screaming baby in the VIP tent,” Nyman said in Val Gardena. The Americans are not the only downhillers with babies or children. Erik Guay of Canada, who won gold in super-G and silver in downhill at last season’s world championships, has four daughters. Peter Fill of Italy, the World Cup downhill champion the last two seasons, has boys named Leon and Noah.